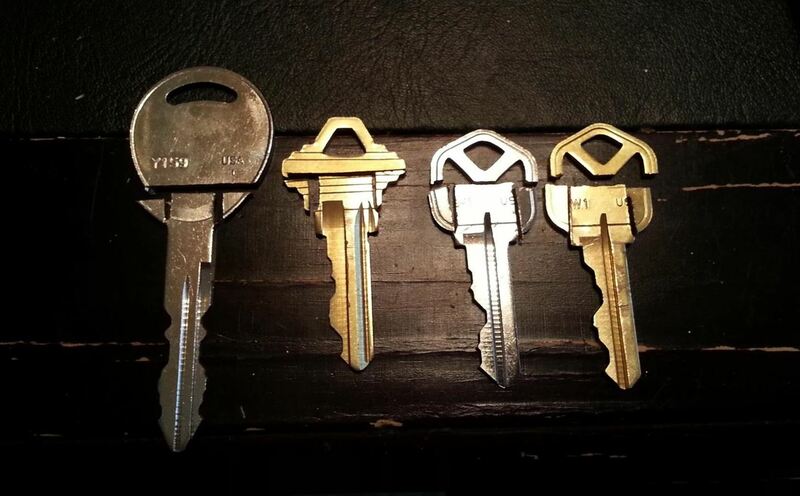 Keys always seem to multiply. You start out with your house keys and car keys, and the next thing you know, your keychain is full and you have no idea what half of them even unlock. 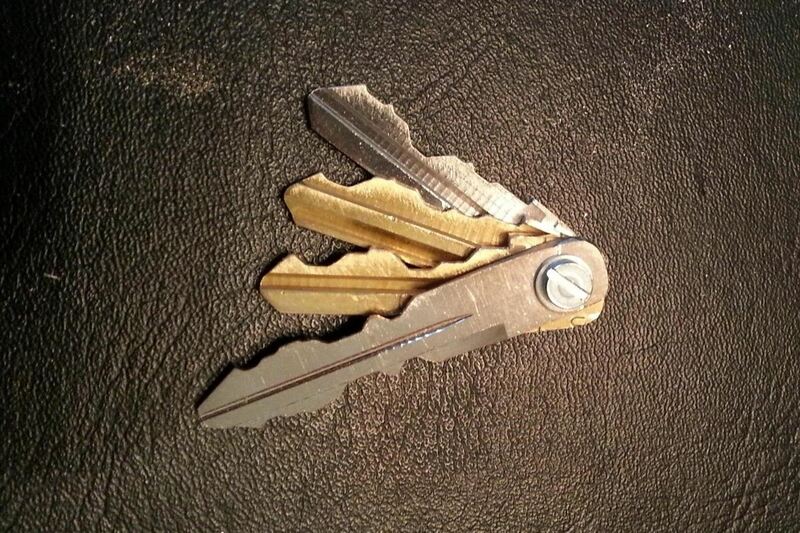 If you want to make your keys lighter and less bulky, redditor mattfrancis13 has a solution. 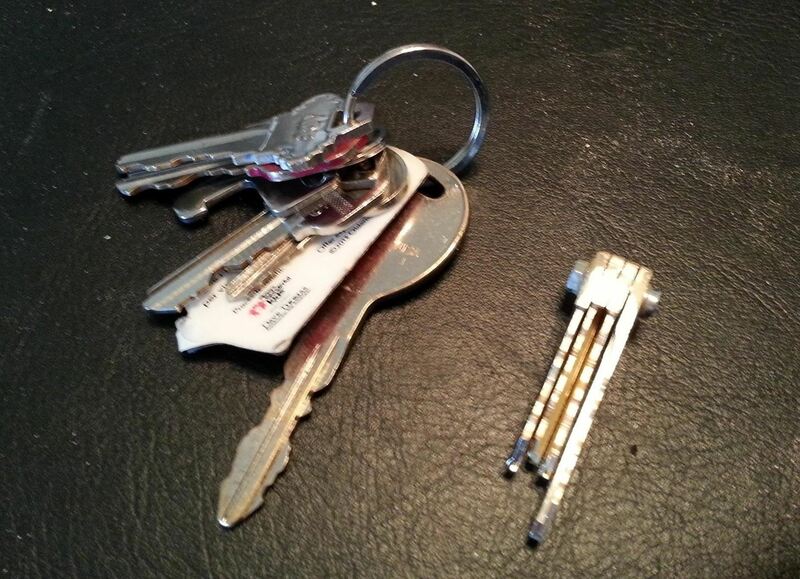 He turned his keys into a super simple Swiss Army style keychain that takes up way less space than a regular key ring. He started by cutting off the tops and sides of the keys with a hack saw, then drilled a hole into each one. He stacked all the keys with a washer between each one and threaded them all onto a 3/8" machine bolt to hold them together. If you're worried about being able to tell them apart, just use a little nail polish to color code them. And that's it. You can find more suggestions in the comments on reddit, and check out the Imgur album for more photos of the process. Great job and thanks for the good quality pics. I'm actually kind of a keychain obsessing gadget junkie myself. Needless to say, I was quite quite happy when I saw your macgyverisms link. I've made a keychain like the this before, in my never ending evolution/mutation of keychain ideas but, it was never tweaked out to your extreme (I say that as a complement). In my simpler version, I just took a bolt, I think it was a #8 - I'm not sure it was a while ago. The bolt was slim enough to pass through standard size "ring" holes in my keys and I just finished it off with an end cap. Not pretty, I know but I, honesty, never thought of doing it your way. Hey... guess what I'll be doing this weekend in my work shop - lol. I'll post pics when I'm done.